We currently accept online payments for school meals via our provider Schoolcomms. Parents & carers can also pay online for trips & clubs. 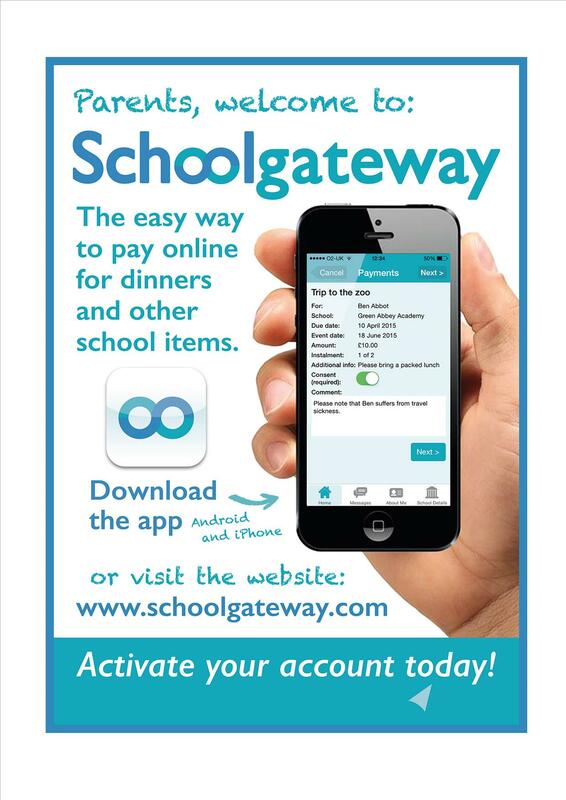 Help us save money by going to the App store today and downloading ‘School Gateway’. Follow the link to activate your online account: https://login.schoolgateway.com or for iPhone & android mobile phone users, download the app. Please ensure that you use the priority mobile number/email address you have registered with the school when logging on as a new user for the first time. Please speak to the staff in the school office if you have any queries. Thank you.